Let's get rid of the Monday blahs (an actual illness) with another round of a Quick Bookish Survey! Participate by either leaving your answers or a link to your post in a comment. Have fun! 1. 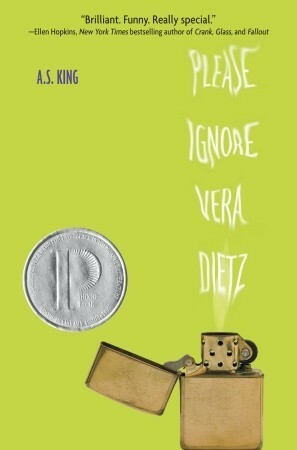 The book I’m currently reading: Please Ignore Vera Dietz by A.S. King - I'm enjoying this book on my brand new shiny Kindle! I'm also taking advantage of my library's wonderful ebook selection...I'd heard off and on about this particular book and decided to give it a try. It's SO good so far! 3. 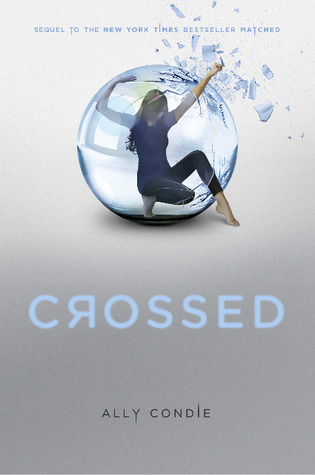 The next book I want to read: Crossed by Ally Condie - I've checked this out of the library and am prepared to read it while on my two week cruise (which I am actually on at the moment. Yay for scheduling posts!) I'M READY FOR THIS. 4. 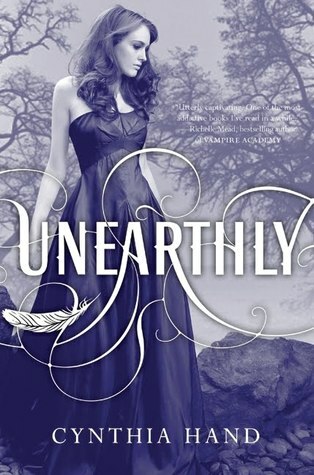 The last book I bought: Unearthly by Cynthia Hand and Her Highness, the Traitor by Susan Higginbotham - I heart cheap ebooks. Both of these are $2.99 each in the Kindle store right now...I couldn't resist! 5. The last book I was given: Wentworth Hall by Abby Grahame and The Queen of Last Hopes by Susan Higginbotham - these were both birthday gifts from fellow TB&TB bloggers Daisy and Kimberly! They must know how much I love historical fiction :) These are both packed away in my suitcase for my trip! 1. Beautiful Redemption by Garcia/Stohl: I'm so worried for Ethan! It's killing me that I don't have time to sit down & read this through. 2. Keeper of the Lost Cities by Messenger: Really cute MG filled with action & adventure. Definitely recommend. 3. Iced by Moning: Just got this one from the library. 4. Days of Blood & Starlight by Taylor: Couldn't resist this one. 1. im reading strands of bronze and gold and rereading the night circus. 2. insurgent -___- now i have a looonnnngggg wait for the 3rd book. 3. im waiting for scarlet. i'll be doing a lot of rereading favorites and reading some ARCs until then. Lol. the Monday Blahs is totally an illness! I just started reading The Mischief of the Mistletoe by Lauren Willig. I'm really excited to read this one. Jane Austen is in it, although not a main character. I just finished Babe in Boyland by Jody Gehrman. I was disappointed in this one. Since I just started Mistletoe, I'm not sure what I want to read next. Maybe The Sea of tranquility. I'm hearing amazing things about it. Yesterday I bought The Diviners, Beauty Queens (by Libaa Bray) and Blackwood by Gwenda Bond yesterday at an author event. I got them signed!!! Hope you Monday is going as well as possible. Great survey - I've posted my response here: http://kristinharkins.blogspot.com/2012/12/yay-for-surveys.html. 2. Deity - it was SO awesome I cannot wait for Appollyon!!! This is a brilliant way to blow away those Monday blues! 1. Currently Reading: The Raven Boys by Maggie Steifvater - I just picked it up yesterday and look forward to diving in, head first, today on my lunch break. I'm hoping I like this one more than The Scorpio Races. 2. Last Book Read: The Mortal Instruments: City of Bones by Cassandra Clare - I debated on whether or not to wait to read it until after I saw the movie, but then I realised that I've never heard of this thing you call "patience," so yeah. I read it. 3. Next Book To Read: The Map of Time by Felix Palma - I think I'm getting a little YA'd out and I've had this one on my TBR list for quite some time. 4. Last Book Purchased: The Death Cure by James Dashner - I really want to finish the Maze Runner Series just so that I can know what the hell is going on! 5. Last Book Given: Things Your Dog Doesn't Want You To Know by Jeff Johnson and Hy Conrad - I actually won this as a giveaway several months ago and it finally came in the mail! I've been wanting to read Ally Condie, but just haven't gotten there yet! I just finished An Unexpected Angel by Janet Halling and I'm currently reading Crossing the Paris by Dana Gynther. Love this survey, so fun!! Nice book selections. I recently got Kindle PC and I’m delighted with being able to buy cheap ebooks. Love this idea! Thanks for thinking of something fun to do today! I think next I will read Time and Again by Jack Finney because it was a gift from LAST Christmas, and I really want to finish it before this Christmas! I don't really buy books for myself anymore because I have such overflowing TBR shelves (and the library), but I love getting books as gifts. For my birthday in July, my husband got me Dragonfly in Amber by Diana Gabaldon, but I haven't had time to read it yet because it's so long. Seeing a trend here? ha ha yes, I am always behind! Right now I'm reading Great House by Nichole Krauss- really good! Love her writing style. 4. Unearthly by Cynthia Hand - Lol! The same as you!